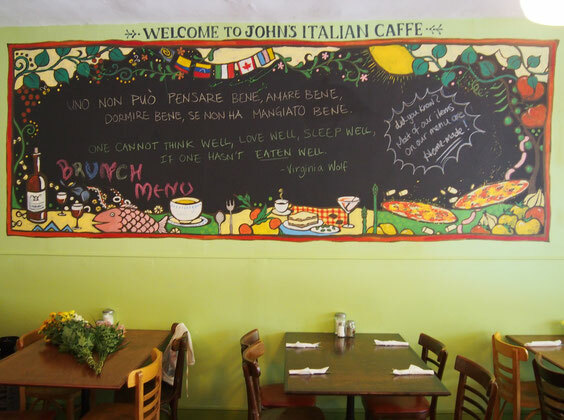 Painting on the wall at John's Italian Cafe! Thank you for chef Julian. It's a romantic cute restaurant on Baldwin street. Please come and check! Food is amazing! My art show going to start next Sunday. Only a week left, so I am feeling very busy. ......but I will stop worry to much and just enjoy ready to show the art for everyone.